On Open Day, SEGA opens the entire campus up to visitors to bring together the school and the community. During this year’s Open Day (March 9th), students showcased their academic and extracurricular skills and visitors learned about SEGA’s programs and the impact SEGA has had on the students. All prospective parents were invited, especially those who live nearby and neighboring school students. 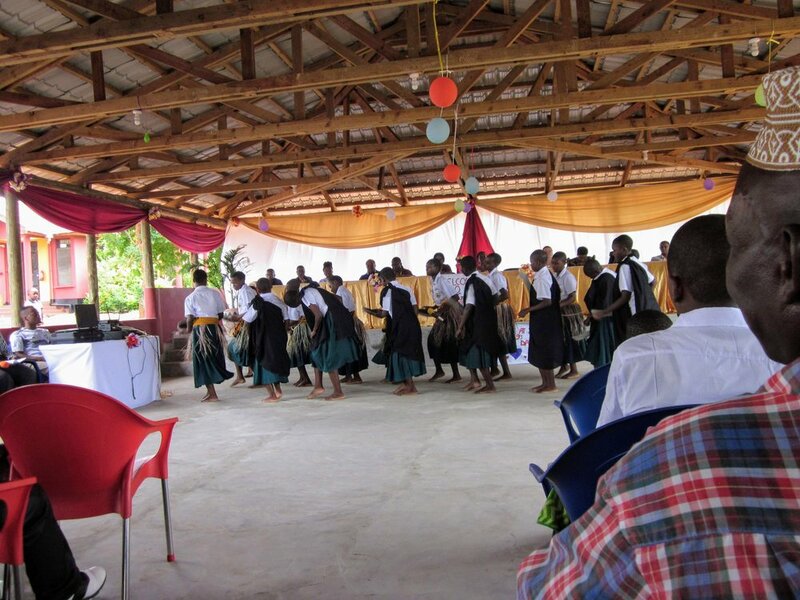 School Clubs prepared songs, drama performances and role plays, traditional Ngoma dance, and non-verbal storytelling. The day also featured motivating speeches from the Guest of Honor and SEGA’s Headmistress. The Guest of Honor, Dr. Mweru Mwingi from Aga Khan University-- Institute For Educational Development, East Africa, arrived around 10am and then the Headmistress, SEGA Staff, students and invited guest walked around to different rooms to see what the girls prepared. Touch typing winners with their Teachers, Cindy Tarpo (ICT Technical advisor- Volunteer) and Fadhili Makunga (IT Coordinator). The girls were awarded notebooks and pens. Twenty-eight students participated in a touch typing competition where they were required to type without looking at the keyboard, and three students became the ultimate winners: Deborah (Form 3), Rahma (Form 4) and Esther (Form 3)--congratulations! The students have been practicing regularly with their IT teachers. On the entrepreneurship side, the students showed off the poultry project, prepared cooking dishes at the school canteen, and showed visitors the tie-dye fabrics they made in the the sewing project. In Art Club Students made origami, drew pictures, and created a special picture for the guest of honor. Below are photos of SEGA students demonstrating their academic skills, singing, and performing dramas and role play. After viewing the students’ presentations and exhibitions, all visitors walked to the Big Banda where the main event took place. A total of 152 invited guests attended Open Day. SEGA’s Headmistress gave an introduction and then the Ngoma Club performed a wonderful dance. 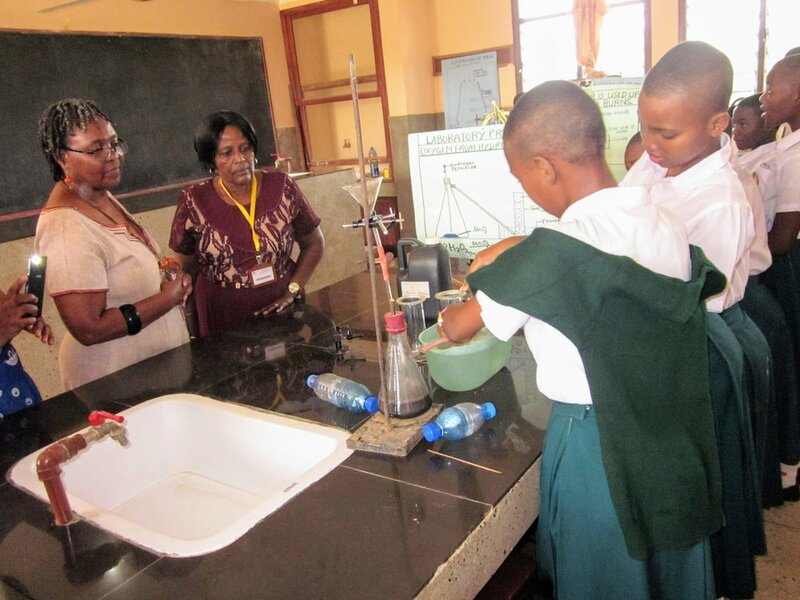 Caroline Samson Mkunda Form 3 practicing the periodic table. SEGA is a highly acclaimed school with an environment very conducive to learning. SEGA is advanced in ICT as it has a computer lab with all essential learning materials. SEGA has 1 toilet for every 15 students which is not common in most schools. SEGA has classrooms and dormitories, so your studies are protected from disruptions. SEGA has a dispensary and a resident nurse, so your health is in good hands. SEGA has a strong curriculum, so the school prepares you to be an entrepreneur. become proficient in the language. SEGA offers scholarships to 98% of you meaning that your education is 100% fee free. While the students at SEGA have earned their spots in the school, a comparison of what schools are like for others girls just like them is a strong reminder of what an exceptional place SEGA is. We are so grateful to everyone who has helped Nurturing Minds and SEGA grow into such a successful and thriving school and community--thank you!